Kamber is a playful and approachable, neo-grotesque sans-serif with a handful of humanist flourishes. Subtle convex terminals and a curved structure create it’s friendly personality and bouncy rhythm. 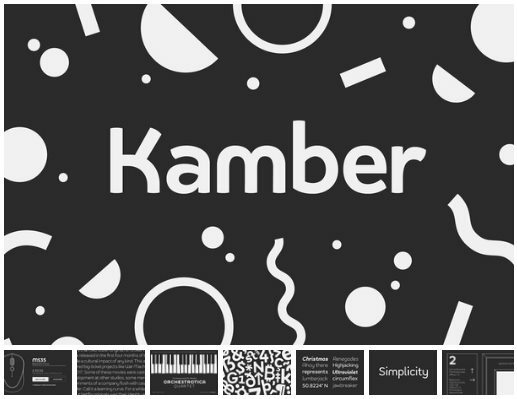 If you're looking for a warm typeface that’s affable without straying into cliché, then Kamber is your new best friend – like the labrador of typefaces. Kamber’s balanced yet quirky nature makes for a fun and interesting display face, without compromising on legibility at smaller sizes. The lowercase letters have an elevated x-height, sitting at around 70% of the cap height – this means running copy remains clear and readable.